I guess Bigfoot wasn't paying attention. What I said about last year's self-titled four song EP. Good start, but we need more. I was thinking a full-length long player. But I wouldn't pay attention to me either. 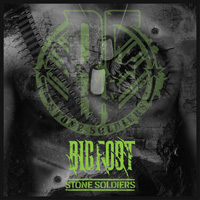 Alternatively, with their second EP Stone Soldiers, Bigfoot does give us more. This EP has five songs instead of four. Definitely an improvement And it's another strong effort. 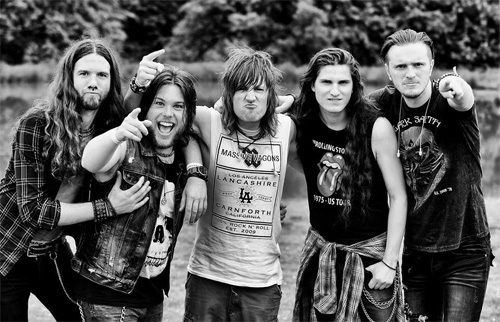 Classic melodic hard and heavy rock in it's best form. Twin guitar harmonies, excellent solos, solid rhythm section delivering plenty of groove, and solid melodic vocals. This is some catchy stuff. Both Stone Soldiers and In The Gutter are well-paced groove monsters, the latter with the guitar riffs working in symbiotic harmony with the rhythm section. That rhythm section practically steals the show within Blame It On The Dog, yet the riffs and leads are ambitious and you got love the catchy chorus. This deserves a video, with a dog. Yet the killer song here is Run. This what you love about classic rock. 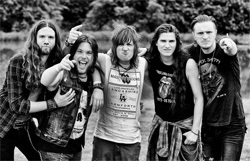 It's the perfect blend of hard and heaviness with accessibility and groove of AOR melodic rock. And the vocal arrangement is amazing. This song has hit single written all over it, perfect for radio airplay. More of this, please. Definitely a video, too. Stone Soldiers is another outstanding success for Bigfoot. Fine hard and heavy melodic rock. Don't miss it. Easily recommended. Stone Soldiers is another outstanding success for Bigfoot. Fine hard and heavy melodic rock. Don't miss it. Easily recommended.